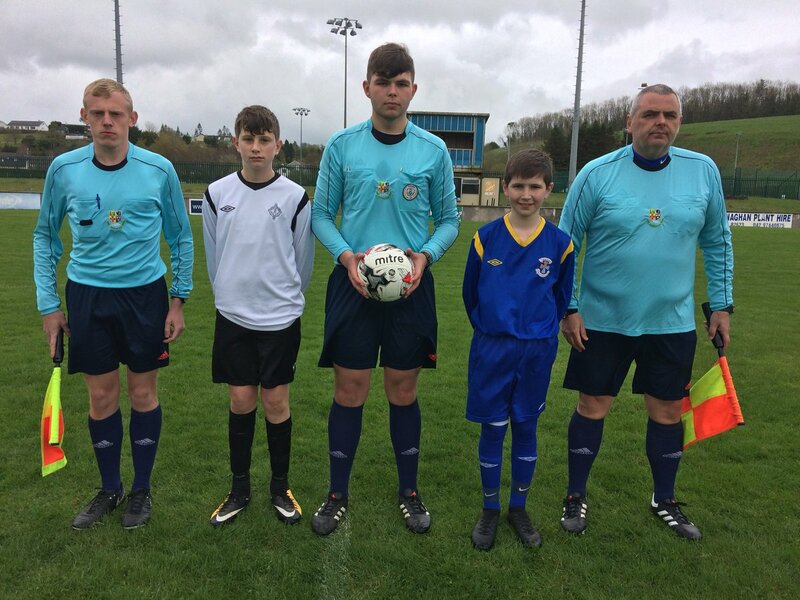 ST. KIERAN’S COLLEGE, KILKENNY had a late surge in proceedings to defeat a much fancied Carndonagh Community School in Monaghan United FC this afternoon (April 24). The Ulster stars produced a wonderful account of themselves in the first half and merited the lead midway through when Kyran Cantwell got on the end of a lovely through ball from the hardworking Lee Coyle to slot past Hughes. Carndonagh may have doubled their lead six minutes before the break as youngster Sean O’Donnell got up well to guide his header goal bound but it glided over the upright. The action was end to end as St. Kieran’s attacked moments later as Anthony Ireland Wall’s effort hit the woodwork. Sean O’Donnell was on hand again to test the Kilkenny defence but his strike hit the side netting with seven minutes left on the clock. The deadlock remained, 1-1 at the end of normal time. The extra time display was exceptional from the Leinster lads as Michel Raggett pounced to make it 2-1 to Tom Brennan’s team six minutes in. The momentum was well and truly with St. Kieran’s now as Carndonagh had to search for an equaliser. Killian Doyle connected perfectly with an Anthony Ireland Wall corner to net the insurance goal making it 3-1, a minute into the second half of extra time, a body blow for the Ulster Champions. As Carndonagh pressed forward for a comeback, Kilkenny scored their fourth with Robert Ring shooting from distance. 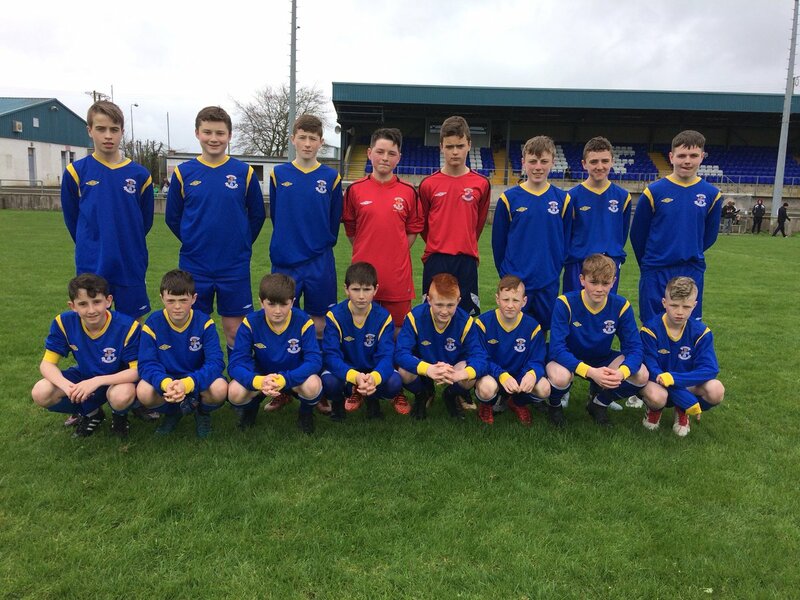 St. Kieran’s College will now prepare for the Bank of Ireland FAI Schools First Year Boys National Cup decider which is scheduled for Thursday, May 10 at 3pm in the AUL Complex, Clonshaugh. 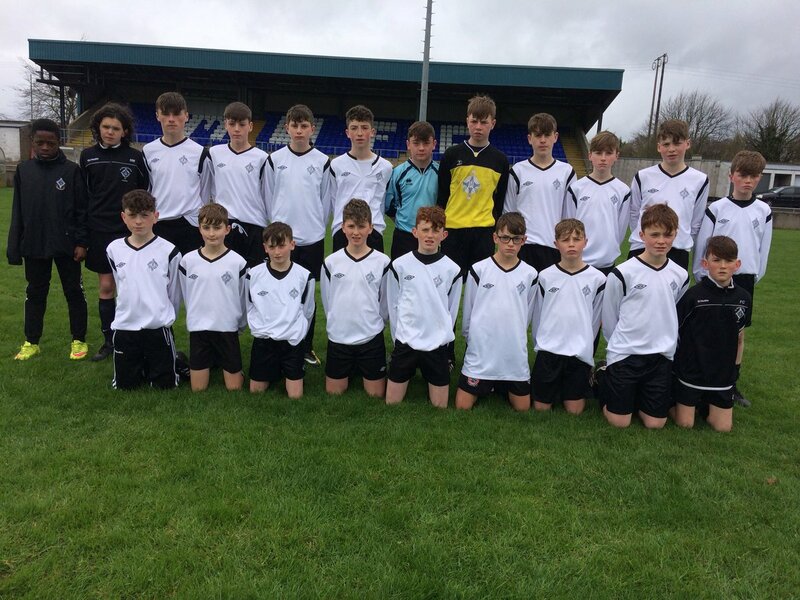 Their opponents will be either St. Francis College, Rochestown or Calasanctius College, Oranmore who meet this Thursday in the other semi-final tie in Lee’s Road, Ennis (3pm).